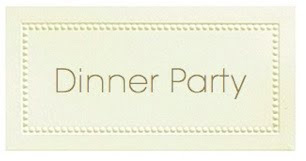 When planning seating at your formal or informal dinner party, who sits next to who can actually help liven things up! 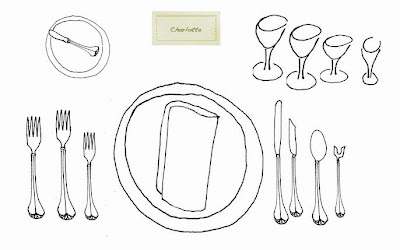 Place Cards make the entire process easy, and for informal dinners, we love to give the project to children. They have fun writing names and knowing just who's coming to dinner. 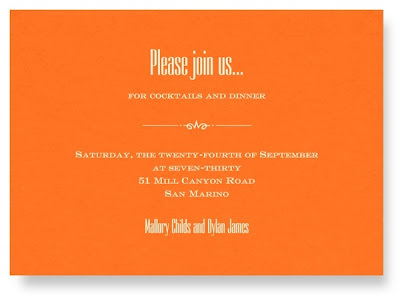 For the more formal dinner party, we turn to former New York Times food writer Craig Claiborne who suggests in his Elements of Etiquette, that "...place cards can guide guests to the places at table where they will sit, and hopefully, find congenial souls next to them. Be sure the names are spelled correctly and are easy to read. First names only are appropriate for an informal dinner, or for close friends; duplicate Johns or Beths can be identified by their initials." In the belief that most hosts have in separating couples, Claiborne writes, "I think it is courteous to place guests near those whose company they most enjoy ~ and if that is a spouse, more power to the couple." We like this advice! 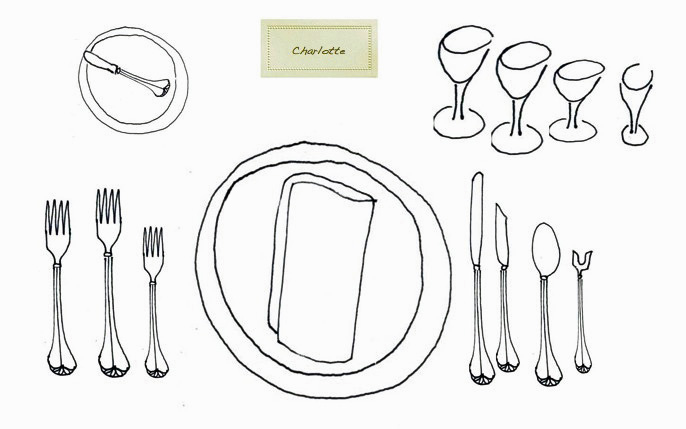 Place Setting Illustration by M.H.D.